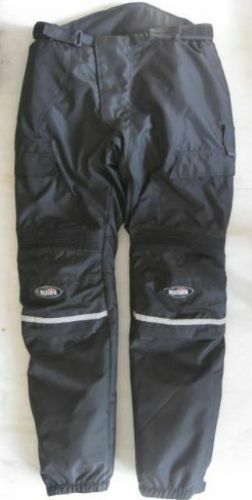 This Blizzard Motorcycle Tour / Rally Pant is made of codura with stretch design at above knee for comfort. This has protection at knee & hip. This Pant is highly recommended for Touring / Rally use. Also has adjustable dual Velcro straps at waist for perfect tight fit . This also has a removable warm liner inside.